Do Old Exes Ever Come Back? Insecurity may lead you to become clingy or controlling. In a relationship, insecurity can decrease a couple's bond and ultimately cause enough strife to destroy the relationship. Insecurity can have several different causes, including experiences in past relationships or in childhood. Habits of self-criticism and pessimistic thinking can also contribute to feelings of insecurity, according to psychologist Lisa Firestone in her "Psychology Today" article, "What Drives Jealousy?" The way we relate to people, including romantic partners, begins in infancy, with the way we relate to our parents or primary caregivers, according to the HelpGuide.org article, "Attachment and Adult Relationships." For example, if your parents hold you when you cry and make you feel safe, you may carry these secure feelings into your later relationships. However, if a parent or caregiver does not respond to your needs or if you do not bond well with your caretakers, you may experience insecurity and fear in your adult relationships. This type of attachment problem is difficult to change on your own and is usually best addressed with a professional counselor. Like poor relationships in childhood, bad romantic relationships as a teen or young adult can lead to insecurity in your subsequent relationships. For instance, if your first boyfriend cheated on you, then you may feel insecure and expect all future boyfriends to cheat on you. Getting past this type of insecurity often takes time and calculated risk taking. For example, if your past partner put you down and called you names, one way to move forward is to remind yourself of the differences in your relationships and extend trust to those potential partners who have proven themselves respectful and understanding. In relationships, some people become pessimistic and see things as being much worse than they really are. For instance, many women assume that if their boyfriend is quiet, he must be angry, says therapist Mark Tyrrell in the article "Overcoming Insecurity in Relationships" on his website, "Uncommon Help." In reality, your boyfriend might just be tired or thinking about school or something else unrelated to the relationship. Likewise, you might think that you are not good enough for your partner or assume that good things never last. These thought patterns are usually learned behaviors that may stem from past disappointments, low self-esteem or simply a negative outlook on life. Sometimes, insecurity in a relationship is warranted. If your partner does not return your text messages or calls, this could be a sign that something is wrong. Likewise, if you and your partner argue often or if he flirts with other women, sneaks around or breaks promises to you, then you may have good reason to feel insecure, because the relationship is headed in the wrong direction. In these cases, talking about your insecurity with your partner can be a good way to either alleviate your worry or show you that it is time to move on to someone more trustworthy. 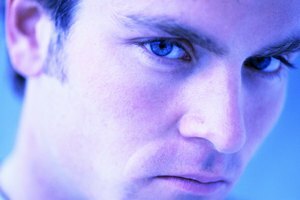 Psychology Today: What Drives Jealousy? Green, Anna. "What Creates Insecurity in a Relationship?" Synonym, https://classroom.synonym.com/creates-insecurity-relationship-20777.html. Accessed 23 April 2019.